"No, no, no! Not again! 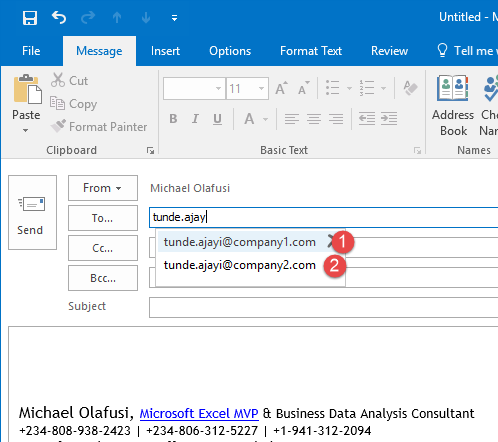 I have sent the email to the wrong Tunde Ajayi. 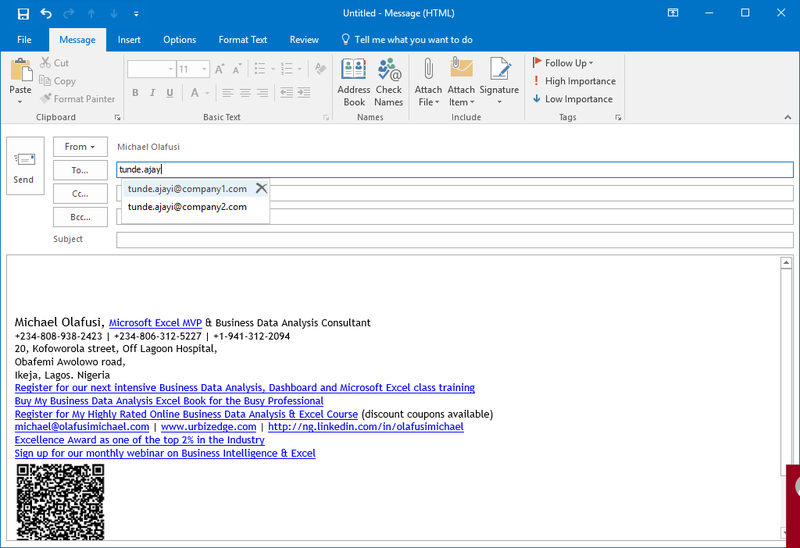 Michael, how do I remove the Tunde Ajayi of this other company?" It is one very common problem you'll encounter if you use Outlook at work. There will always be people with very similar names and there will be times you will send an important or sensitive email to the wrong one. That complaint was a paraphrased one from my boss in 2011. And I had to find how to fix it. He wanted one option permanently out of the auto-suggestion list. It is surprisingly easy to fix. Just click on the cancel icon in front of the suggestion you don't want to receive anymore. And next time. you'll get only the right one in the suggestion list. Tip Number 2: Outlook keyboard shortcuts I have found very useful. 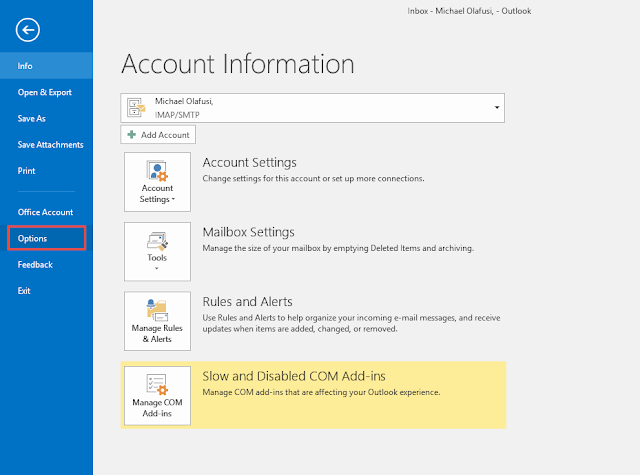 You can set up a meeting or an appointment easily from Outlook. The main difference between a meeting and appointment is that a meeting has invited participants and for an appointment you don't invite anyone. Practically, when you have something to do at, say, 2:00pm (could be an appointment with your doctor or your lunch box), you set up an appointment. 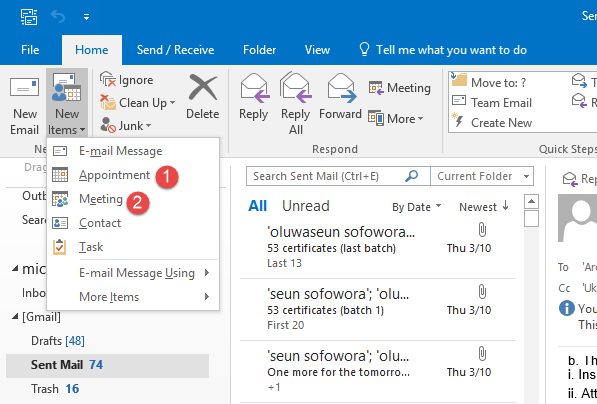 Outlook will not only remind you about it but will also make you show as busy for that period in case someone else is trying to fix a meeting for that same time period. Meeting is quite easy to grasp. You invite people to a meeting, as you can't have a meeting with yourself (or your lunch box). 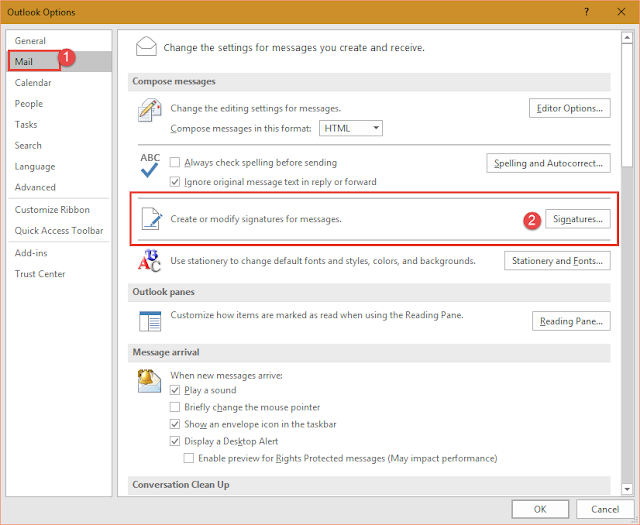 You can set them up easily in outlook. And if you are in the appointment section and invite other people, it automatically switches to Meeting. And if you are in the Meeting section and do not invite anyone, then it becomes an appointment instantly. 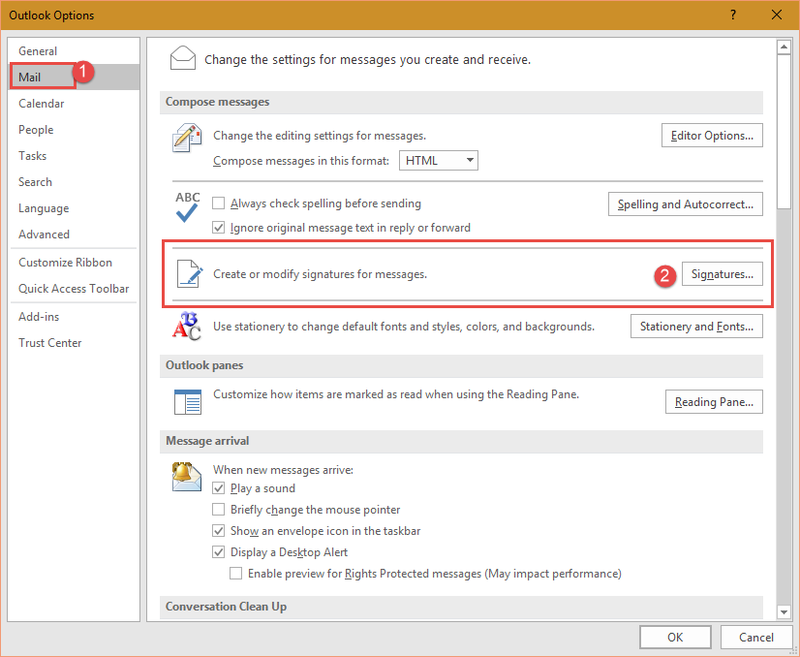 And those are my Outlook tips for you today. Oh, and as a bonus, this is where you go create, edit or delete your email signature. Click on File, Options. In the dialog box that comes up, click on Mail and Signature.